Story: For many of us, it can be easy to take water for granted. Turn on the tap and it’s there. But today, the world faces a tipping point, with water security—having sufficient access to safe water for our daily lives—at risk. Listen in as our guest, Sandra Postel, discusses the challenges and shares options for fixing our broken water cycle. Story: Giraffes are dying, and experts are trying to figure out why. Host Dan LeDuc speaks to two giraffe experts, ecologist David O’Connor and researcher Jenna Stacy-Dawes of the San Diego Zoo, who are trying to learn more about these mysterious animals and help giraffes rebound. Story: The Grand Canyon was dedicated as a national park 100 years ago. This anniversary commemorates the canyon’s legacy, but it has been around longer than that—at least 6 million years. Our host explores the beauty of this natural wonder with Wayne Ranney, a geologist who has spent his career studying the canyon. Listen in for a historical journey through this iconic landscape. Stat: 100. More than half of children born in developed countries today will reach the age of 100. Story: If you knew you would live to 100, what would you do differently? Increasing longevity will expand and shift the traditional phases of life, according to London Business School professor Andrew Scott. In his conversation with host Dan LeDuc, he describes the challenges and opportunities facing individuals and society as life expectancy continues to rise. Stat: 57 percent of social media news consumers expect what they see there to be largely inaccurate. Story: The rise of deepfakes—realistic fake videos made with artificial intelligence software—is beginning to make sorting fact from fiction even harder. In an interview with Dartmouth Professor Hany Farid, a digital forensics expert who advises governments and the media on how to meet this growing threat, we discuss the implications for people and societies when we can’t necessarily believe what we see. The American Dream: Does Your Zip Code Determine Your Destiny? Stat: 50. The percentage of American children today who will grow up to earn more than their parents did. Story: That’s down from over 90 percent for children born in the 1940s and its says a lot about the current state of the American Dream. John Friedman, who’s a leader of Opportunity Insights which is working to help people get out of poverty, says the opportunity to move up the economic ladder depends a lot on where you live and even who your kindergarten teacher was. He speaks with host Dan LeDuc about what factors can improve kids’ chances of success. Stat: Four in 10 Americans say technology has improved their lives most in the past 50 years. Story: To end 2018, we look ahead at the promise of new technologies, which also bring challenges for societies. To understand the issues, we speak to Arati Prabhakar, former director of the Defense Advanced Research Projects Agency. From artificial intelligence to neurotechnology, she notes the “dazzling” new capabilities emerging and the thorny considerations they bring. Stat: 21. The number of African countries where manatees live. Story: If you’ve ever seen a manatee, chances are you were in Florida, where these aquatic relatives of the elephant may have poked their faces above the water’s surface to get a look at you. But this episode’s guest studies manatees few have ever seen—the African species that live in remote, murky waters. Host Dan LeDuc talks to 2017 Pew marine fellow Lucy Keith-Diagne about what makes these creatures so fascinating—and the threats facing them. Story: When asked about their religion, most Americans identify with a traditional faith: Christianity, Judaism, Islam. But the Pew Research Center recently looked beyond familiar classifications and analyzed patterns of American beliefs and behaviors across many faiths. Host Dan LeDuc talks with one of the authors of this analysis, Rich Morin, about how the researchers created this religious typology and what each of the seven types means. Story: Traditionally, voters don’t flock to the polls for the midterm elections. But this year, the Pew Research Center has found that voters are more enthusiastic about voting than at any point during midterms in the past two decades. Why is that and what’s on voters’ minds? In this episode, Dan LeDuc talks with the center’s director of political research, Carroll Doherty, who will share his insights from the polling data. Story: London is on track to exceed 9 million people in three years and most of the new babies there have at least one foreign-born parent. One area in particular is emblematic of these changing world demographics: Brixton. Host Dan LeDuc went for a walk there with Ben Rogers and Denean Rowe from the Centre for London to see up close how it’s evolving from a quintessential South London neighborhood into a dense, multicultural hub. Story: In many ways, the metropolis of London is a microcosm of what’s happening around the globe. People move across borders and flock to urban centers, causing their newfound homes to evolve and adapt. How are global demographic trends affecting and changing our world? To learn, host Dan LeDuc talks with Mark Hugo Lopez, director of global migration and demography research at the Pew Research Center. Stat: Four. That’s how many letters in the DNA alphabet make up every living thing. Story: How does genetic information transmit across generations? While trying to find out, scientists Craig Mello and Andrew Fire quite by accident made a discovery in 1998 that would earn them a Nobel Prize—and pave the way for the first drug to take on harmful genes. Pew’s Dan LeDuc talks with Mello about science’s surprises. Stat: North Atlantic cod have nearly tripled since 2006 to 118,000 tons. Summary: Overfishing has strained most global fish stocks. But the European Union has made progress bringing back one popular species: North Atlantic cod. The flaky white fish—a British staple when battered and served with chips—has rebounded after plummeting to critically low levels in the late 2000s. In this episode, we go to one of London’s oldest fish and chips restaurants and learn how quotas can be used to help other stocks recover. Stat: 44 percent. The percentage of Americans who think the public doesn’t know enough about science to understand new findings in the news. Story: Ira Flatow, the host of “Science Friday,” has been with National Public Radio since it went on the air in 1970. Although he knows the public loves science, he’s worried that most people don’t know how the scientific process works. Pew’s Dan LeDuc talks to him about why critical thinking is crucial, who asks the best questions, and how science can be addictive. Stat: At least 2 million Americans get antibiotic-resistant infections each year. Story: Nearly a century after Alexander Fleming’s discovery of penicillin, bacteria continue to develop the ability to defeat antibiotics. Doctors worldwide are concerned about the spread of superbugs that are resistant to all antibiotics. Host Dan LeDuc visits Fleming’s London lab for some history and talks with Pew’s Allan Coukell about current efforts to reduce unnecessary use of these drugs and encourage development of new ones. Stat: $477 billion. That’s the amount spent on prescription drugs in the United States last year, according to the Department of Health and Human Services. Story: Skyrocketing prescription drug prices have long troubled U.S. Senator Susan Collins of Maine, who has championed bipartisan legislation to give consumers more affordable choices. In this rebroadcast of a Pew event, she discusses what can be done to manage drug costs and ensure that Americans get the medicine they need. Stat: At least 63 million sharks are taken from the ocean every year. Story: And that’s the low estimate; others range as high was 273 million. That worldwide catch—for shark fins and increasingly for their meat—is threatening some species with extinction. In this episode, host Dan LeDuc talks with two unlikely advocates for protecting sharks: South African Paralympian Achmat Hassiem and Pew’s Debbie Salamone. Both have been bitten by sharks but have turned their experiences into something positive: becoming shark attack survivors supporting shark conservation. Stat: The flag that inspired our national anthem has 15 stars and stripes. Story: It flew over Fort McHenry in the Battle of Baltimore during the War of 1812. And after the fight, it was what Francis Scott Key was looking for when he asked, “Oh say does that star-spangled banner yet wave.” It was, and it continues to inspire Americans today in the Smithsonian Institution’s National Museum of American History in Washington. Host Dan LeDuc went there to talk to curator Jennifer Jones about the history of perhaps our most famous flag. Stat: Antarctica is home to more than 9,000 species found nowhere else on Earth. Story: They include Adélie and emperor penguins that depend on the nutrient-rich waters that surround the continent. In 2016, 24 countries and the European Union created the world’s largest marine protected area—encompassing 1.9 million square miles—in the Ross Sea. In this rebroadcast of a Pew event, the former president of Costa Rica and other ocean conservationists discuss the need to give other Antarctic waters this same protection. Stat: The penguin population in Punta Tombo, Argentina, has declined by 43 percent since 1987. Story: Not all of those birds are dying: Many are relocating to areas with more prey—a move aided by their ability to swim 170 kilometers a day—and 200,000 breeding pairs remain in Punta Tombo. But expert Dee Boersma, known as the Jane Goodall of penguins, says the decline may foretell worrying trends in the ecosystem. Host Dan LeDuc sits down with Boersma, and hears from a few of the penguins, to learn more. Stat: 63 million Americans, many of them children, live in areas with a shortage of dental care. Story: To help alleviate this, a new kind of dental provider is being created: dental therapists, who are much like physician assistants in a medical office. In this episode host Dan LeDuc heads to Minnesota to join one of them, Christy Jo Fogarty, as she travels the state to bring dental care to children, many of whom have never been to a dentist before. Stat: 64 percent of Americans say fake news is causing confusion over basic facts, according to the Pew Research Center. Story: It’s becoming increasingly more difficult to sort fact from fiction in this digital age. In this episode, we talk to Alan Miller, who founded the News Literacy Project—an educational, nonpartisan nonprofit organization that is helping people determine what information to trust and share. More than a third of America’s national parks are battlefields, cemeteries, and other sites that honor our military veterans. But those 156 landmarks are awaiting $6 billion in needed repairs—accounting for nearly half of the National Park Service’s $11.6 billion maintenance backlog. Host Dan LeDuc talks with two former service members about the peace, pride, and purpose they find at their favorite NPS sites, and why more funding is needed to restore America’s national parks. With political discourse at a stalemate, we traveled to Middle America to find some middle ground. Former Representative Lee Hamilton (D) and former Senator Richard Lugar (R) represented Indiana for a combined 70 years and always kept talking to each other. They say the rest of us can keep it civil, too. We also talk with Pew President and CEO Rebecca Rimel about how civility and a reliance on facts have underpinned Pew’s work for the past 70 years. Hear the full episode at pewtrusts.org/afterthefact. How can states use data to make government work better? Known as a national leader for his efforts to make state government more efficient, Tennessee Governor Bill Haslam shares what he’s learned over two terms about tripling the state’s rainy day fund, creating jobs, reforming the state’s juvenile justice system, and more. In this episode, we hear from the governor on how he relies on evidence-based policymaking to ensure that state government is effective. To learn more, visit pewtrusts.org/afterthefact. Americans have become less religious but more spiritual over time, with 59 percent saying they regularly feel a deep sense of spiritual peace and well-being. Host Dan LeDuc interviews the Pew Research Center’s Greg Smith about these trends. We also turn to Patty Van Cappellen of Duke University to discuss why people turn to religion and spirituality. To learn more, visit pewtrusts.org/afterthefact. Move aside, baby boomers. Millennials are one of the largest living generations, and they are not kids anymore. The oldest millennials are now 37, and they are making their mark on the workplace, politics, and America’s public opinion landscape. We discuss this changing demographic with Alec Tyson, a senior researcher at the Pew Research Center, who digs into the data on who millennials are, what they care about, and the implications for us all. To learn more, visit >>> pewtrusts.org/afterthefact. Money makes policy. As states plan for the future, tax revenue helps them decide what it can be. And nearly half the states still don’t have the revenue they did before the Great Recession. Host Dan LeDuc interviews Pew’s Kil Huh about this and then goes deep with Chris Hoene of the California Budget & Policy Center about how one of the nation’s most populous states is dealing with fiscal uncertainty. To learn more, visit pewtrusts.org/afterthefact. While millennials have dominated news headlines, there is a new generation on the scene. Our guest— Jean Twenge, author and psychology professor at San Diego State University—calls this group “iGen,” a nod to the impact that mobile phones and the internet have had on their lives. According to Twenge, this generation—people born after 1995—is profoundly different from the five older generations living today, including millennials, Gen Xers, baby boomers, the silent generation, and the greatest generation. Host Dan LeDuc and Jean Twenge discuss the significance of the six living generations and the unique issues that teens today are dealing with, including increased rates of depression and loneliness. To learn more, visit >>> pewtrusts.org/afterthefact. The deepest, darkest parts of the world’s ocean are filled with abundant marine life and rich mineral deposits. But a newly forming seabed mining industry is setting its sights on exploiting these valuable minerals in these fragile ecosystems. Fortunately, the international community can minimize environmental damage by creating science-based rules to oversee the industry. In this episode, we hear from Michael Lodge, secretary-general of the International Seabed Authority, which governs the ocean floor that lies beyond national jurisdiction. He spoke at Pew about the challenges and opportunities ahead on this issue. To learn more, visit >>> pewtrusts.org/afterthefact. As 2017 draws to a close, 88 percent of Americans are connected online—more than ever before—and nearly half of adults use voice assistants. This growing connectivity makes our world safer, more efficient, and more convenient, but it also leaves us vulnerable to security and privacy threats. In this episode, we hear from Lee Rainie, director of the Pew Research Center’s internet and technology research, about trends in technology and data, and how digital advances will continue to shape our lives. To learn more, visit >>> pewtrusts.org/afterthefact. While the national poverty rate has been declining, Philadelphia’s has remained stubbornly high. At 25.7 percent, it is the highest among the nation’s 10 largest cities. That means 400,000 city residents, including more than one-third of the city’s children, live in a household with an annual income of $19,337 or less. In this episode, host Dan LeDuc talks with Larry Eichel, director of Pew’s Philadelphia research initiative, about the faces behind these numbers. We also hear from Matt Bergheiser of University City District about its West Philadelphia Skills Initiative, an innovative program that provides job training to local residents and helps match them with employers. To learn more, visit >>> pewtrusts.org/afterthefact. Up to 1 in 5 fish taken from the sea is caught illegally, costing as much as $23.5 billion globally each year and harming ocean health and fishing communities. Through technology and coordination between governments, law enforcement, industry, and nongovernmental organizations, the tide is slowly starting to turn, however. Host Dan LeDuc talks with Peter Horn, who leads Pew’s work from London with Oversea Ocean Monitor—satellite technology that helps countries detect illegal fishing. We also hear from Sandy Davies, who works with FISH-i Africa, a network of African nations committed to ending illegal fishing. To learn more, visit >>> pewtrusts.org/afterthefact. If you appreciate the nonpartisan data and stories our podcast provides, please write a review. What happens when the medicine we rely on to fight infections stops working? It’s been 30 years since a new type of antibiotic has made it to market. Meanwhile, the Centers for Disease Control and Prevention estimates that 2 million Americans fall ill with antibiotic-resistant infections each year—and 23,000 of them die. These superbugs can yield tragic outcomes, as it did for our guests in this episode. U.S. Army veteran Carl Romm was 27 when he died because of drug-resistant bacteria. His parents, Chris and Joyce Romm, are working to teach others about the threat of antibiotic resistance, and in this episode they tell Carl’s story to Pew’s Laura Margison. To learn more, visit >>> pewtrusts.org/afterthefact. If you appreciate the nonpartisan data and stories our podcast provides, please write a review! President Donald Trump recently declared the nation’s opioid epidemic a public health emergency—but what will it take to connect patients with effective treatment? Our previous episode explored the scope of the crisis and proven solutions. In this bonus edition, you’ll hear more from Shawn Ryan, chief medical officer at BrightView Health in Cincinnati, and Cindy Reilly, who directs Pew’s efforts to expand access to medication-assisted treatment. They discuss what’s at stake with host Dan LeDuc, as well as the potential solutions. 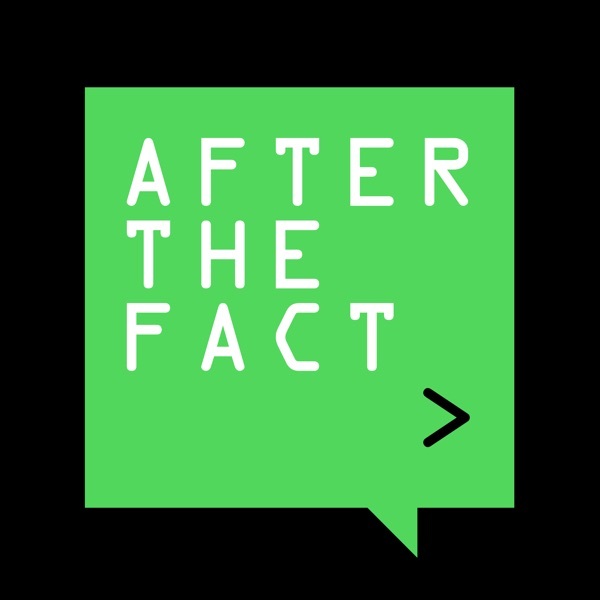 To listen to our full episode on the opioid epidemic and hear from a patient on her journey to sobriety, visit >>> pewtrusts.org/afterthefact. If you appreciate the nonpartisan data and stories our podcast provides, please write a review and subscribe. The digital revolution is transforming innovation, providing access to information in ways unheard of even a generation ago. Putting this knowledge to purpose is changing how we live, communicate, and govern—and raising new issues about equality and fairness. This new age of invention was the subject of the latest edition of Trend, The Pew Charitable Trusts’ journal of ideas. And this episode is a rebroadcast of a conversation on the topic held not long ago in Philadelphia by several contributors to Trend. With questions from moderator Frazierita Klasen, Pew’s vice president for Philadelphia programs, Susan Urahn, Pew’s executive vice president and chief program officer; Lee Rainie, director of internet and technology research at the Pew Research Center; and Jody Roberts, director of the Chemical Heritage Foundation’s Institute for Research and managing director of CHF West, discussed the possibilities and the dilemmas of technical change and the opportunities for invention today. To learn more, visit >>> pewtrusts.org/afterthefact. If you appreciate the nonpartisan data and stories our podcast provides, please write a review >>> http://pew.org/pdcstrvw. Although Facebook, Twitter, YouTube, and other sites weren’t designed as places to get news, that’s what they’ve become. Today, 67 percent of Americans report that they get at least some of their news on social media. In fact, according to the Pew Research Center’s latest data, the share of Americans who get at least some of their news online is fast approaching the share who rely on television, which has long been the main source for many Americans. In this episode, host Dan LeDuc talks with Amy Mitchell, who directs journalism research at the center, about this trend and what it means for the way news and information are shared. To listen, visit >>> pewtrusts.org/afterthefact. If you appreciate the nonpartisan data and stories our podcast provides, please write a review >>> http://pew.org/pdcstrvw. Louisiana holds the No. 1 spot on an unenviable list: state imprisonment rates. The state has put more people behind bars per capita than any other, but Louisiana leaders intend to change that with new, comprehensive criminal justice reform passed this summer. It was a tremendous bipartisan effort that aims to reduce crime and incarceration through innovative means backed by data. Terry Schuster of Pew's public safety performance project speaks with host Dan LeDuc about why this change was important and what its impact could be. To learn more, visit >>> pewtrusts.org/afterthefact. If you appreciate the nonpartisan data and stories our podcast provides, please write a review >>> http://pew.org/pdcstrvw. The devastating floods from Hurricane Harvey have left thousands of Texas residents homeless. The scenes of water spilling onto highways and rushing through neighborhoods have raised attention to the impacts of flooding. Fortunately, there are ways to combat rising waters. We’re rebroadcasting a conversation between Joseph Riley, the former mayor of Charleston, South Carolina, who’s now a Pew distinguished fellow, and Jim Brainard, six-term mayor of Carmel, Indiana. Both came to Pew in May to discuss their experiences after major storms in their cities. To learn more, visit >>> pewtrusts.org/afterthefact. If you appreciate the nonpartisan data and stories our podcast provides, please write a review >>> http://pew.org/pdcstrvw. It’s hurricane season—and extreme weather events are on the rise. Along with the catastrophic losses that families face after the flood is the economic burden on taxpayers through the National Flood Insurance Program. It’s the financial lifeline for those who carry flood insurance and an essential funding source for both disaster preparation and recovery efforts. However, the program is also $25 billion in debt, and more than a quarter of that total is from properties that flood repeatedly. It’s a growing issue affecting more than just coastal cities. Host Dan LeDuc discusses the flood that devastated Nashville, Tennessee, in 2010 with Roger Lindsey, chairman of the Tennessee Association of Floodplain Management and practice leader for Stormwater and Floodplain Management for Nashville’s Metro Water Services, and Laura Lightbody, who directs Pew’s flood-prepared communities work. Event Rebroadcast: Can Technology Save the Earth? The planet is facing increased environmental pressures—from warming oceans to species loss. At the same time, new tools such as satellite monitoring and forensic science continue to support conservation gains around the world. But will technology help save the Earth? In this episode, you’ll hear leading experts discuss and debate this issue. Featuring: Tony Juniper, special advisor to The Prince of Wales’ International Sustainability Unit, president of The Wildlife Trusts, and fellow with the University of Cambridge Institute for Sustainability Leadership; Rear Adm. Nick Lambert, ambassador to Satellite Applications Catapult’s Blue Economy Initiative; and Callum Roberts, professor of marine conservation at the University of York’s Environment Department. Pew speakers include Rebecca Rimel, president and CEO; Susan Urahn, executive vice president and chief program officer; and Kerri-Ann Jones, vice president of research and science. Technology is transforming our world and our workplaces. With the quick pace of change, the future can be as unsettling as it is exciting. However, in this episode, Brian David Johnson says we can invent the future. As a futurist for major corporations who now teaches at Arizona State University, Johnson talks with host Dan LeDuc about how we can envision our futures and find paths to reach them. It’s a conversation with resonance—especially when considering this data point: 47 percent—that’s the share of jobs that researchers at Oxford University say are at risk of being overtaken by robots in the next two decades. To learn more, visit pewtrusts.org/afterthefact. While concern about childhood immunization stirs debate, Pew Research Center finds that the vast majority of Americans—88 percent—believe that the benefits of vaccines outweigh the risks. In this episode, host Dan LeDuc discusses that data point and more on the study with Cary Funk, associate director of research on science and society at Pew Research Center. She is currently studying public attitudes about various scientific topics at the nonpartisan research organization, a subsidiary of The Pew Charitable Trusts. To listen and to learn more, visit pewtrusts.org/afterthefact. States are finding new ways to get smart on crime and, in the process, changing how America views crime and punishment. After decades of rising prison populations, reforms in 33 states have helped cut the national incarceration rate by 13 percent since 2007. That data point drives this episode’s conversation about the new approaches, informed by research-based sentencing and corrections policies, that are slowing prison growth and helping communities become safer. Host Dan LeDuc speaks with Adam Gelb, director of Pew’s public safety performance project, as well as two leaders in South Carolina—state Senator Gerald Malloy (D), who has led his state’s reform efforts; and Bryan Stirling, state corrections director, who is implementing these transformative changes. To listen and to learn more, visit pewtrusts.org/afterthefact. Struggling to pay bills and set aside savings? You’re in good company: 92 percent of Americans say financial stability is more important to them than moving up the economic ladder. That’s just about everybody, and it makes for a new version of the American Dream. In this episode, Erin Currier, who researches family financial security for The Pew Charitable Trusts, explains why, even during this time of economic recovery, so many people are still feeling uneasy. To listen and to learn more about that research, visit pewtrusts.org/afterthefact. It’s about the data and trends shaping your world.